Equissentials, Inc. was founded in 1992 for the purpose of manufacturing and distributing the Equicaddy, an unusually elegant mounting block/tack box/seat. We have since grown and expanded to include publishing non-fiction horse books. Our first title, Financing Your Equestrian Activities received rave reviews from a number of equine journals and was one of Tack in the Box's best sellers. The Dressage Competitors' Handbook is our newest release and will be available from a number of tack catalogs for the Christmas season. It is in stock at Equissentials and can be ordered now through this website. 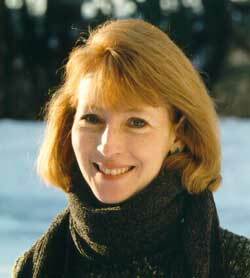 Suzanne Fraser is the author of both Financing Your Equestrian Activities and The Dressage Competitors' Handbook and is uniquely qualified in both fields. Fraser began her equestrian career competing in hunt seat equitation, pony working hunter, junior working hunter, and the green working hunter divisions. She became interested in dressage when she was 9 years old and was fortunate enough to take lessons from Colonel Lewicki (trainer of the Myopia Hunt Pony Club) as a teenager. Later on, she received her Pony Club B certification and her BHSAI while studying at the Talland School of Equitation in Gloucestershire, England. 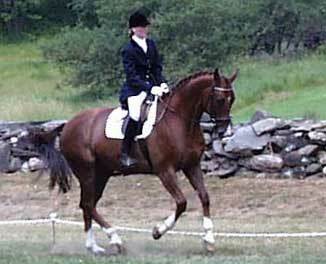 Upon returning to the U.S., Fraser competed throughout the New England area showing hunters and in dressage. On the Trakehner gelding, Feuergeist that Fraser raised and trained from a weanling, she received her USDF bronze medal and won numerous year end awards from the AHSA, USDF, and ATA including the ATA's Futurity Championship in 1989. In an effort to continue learning and competing, Fraser found herself in the position of needing sponsors in order to pursue her dressage goals. Through extensive research of riders from all disciplines, Fraser put together the information she gathered and wrote her first book Financing Your Equestrian Activities. She used what she had learned while researching the book to find her own sponsors. Fraser now enjoys sponsorship assistance from family, a number of friends, and one corporate entity. She competes the Danish Warmblood gelding, Helenikos. The idea for The Dressage Competitors' Handbook was prompted by one of Fraser's students, who asked after hearing the whistle blow before her very first dressage test, "What do I do now?" It occurred to Suzy that there are many rules, written and unwritten, pertaining to dressage competition that were not documented in one single source. As well as being a great resource for novice competitors, The Dressage Competitors' Handbook is equally useful for trainers or show secretaries as a quick reference. As you may have noticed, checklists that are included in The Dressage Competitors' Handbook are also available for you to print out from here. We have also included an Errata page; whenever we discover information that would be of use to you, we will report it on this page. For example, since the publication of The Dressage Competitors' Handbook, several phone numbers in Appendix F have changed. These changes are shown on the Errata page. We will also publish relevant information that is brought to our attention by people visiting this site or who have purchased any of our products. Thank you for visiting our site, and feel free to contact us with information you think we should include on our errata page, comments on our products, or suggestions.